Renault’s smallest model previously renewed, which I tested. The current generation curiosity, that carries the engine back, like SMART’s and rear-wheel drive. 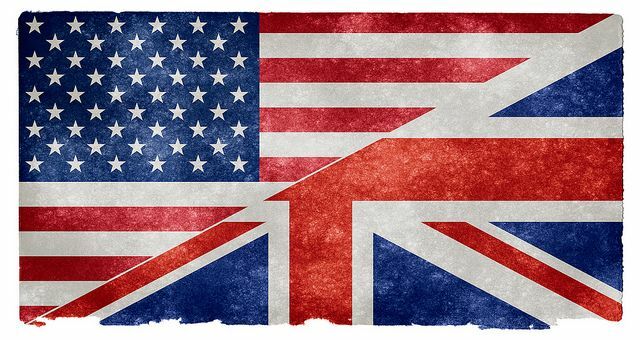 The little French already reached that age, whereupon the sport version can come and also made from the previous generation. From the predecessor GT and RS versions are also made, the last one with a 133 hp engine. 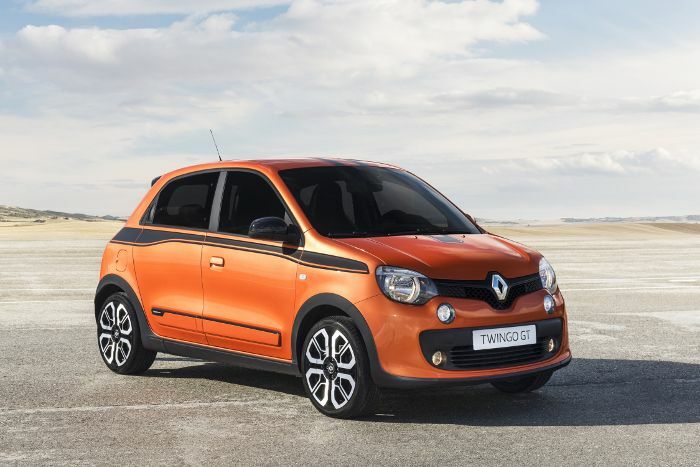 From new generation as well as even information have not been made public, but some pictures have already appeared, and coming soon english-language press material also appears from the new Twingo GT. The exterior appearance they enhanced, which on the nose, not the most striking, received details such as the grille chrome mustache in the black colour, as well as between the noticeable details the unvarnished black plastic elements included, that starting from the front bumper and It runs across his side on the wheel arches to the rear diffuser. On the GT version however rear part the most striking, which received diffuser with two chrome exhaust pipe. 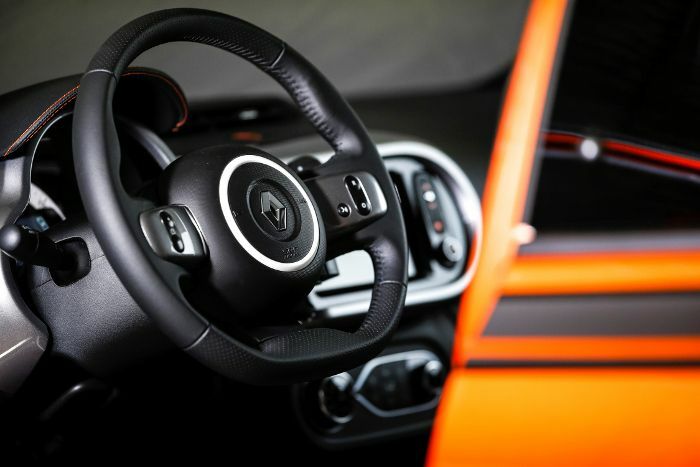 To interior appearance even It's got it yet new GT wheels, which is size based on images 17-inch sized may, as well as side protection inserts with Renault Sport badge, but you get it the glass luggage compartment door, as well as GT badge. 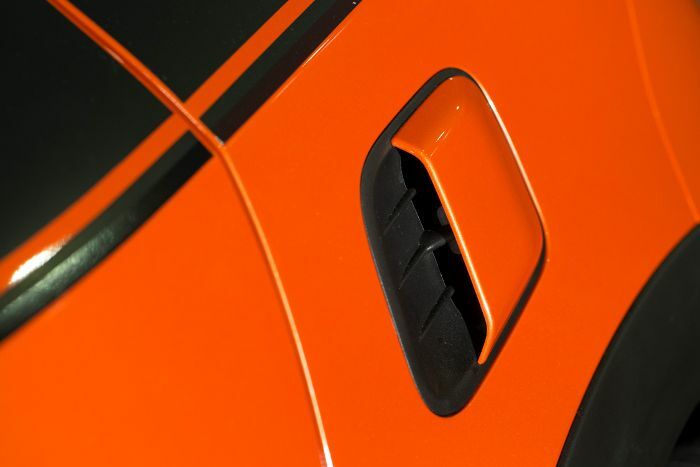 External details are still included the gloss black exterior mirror cap and the air intake on the side. 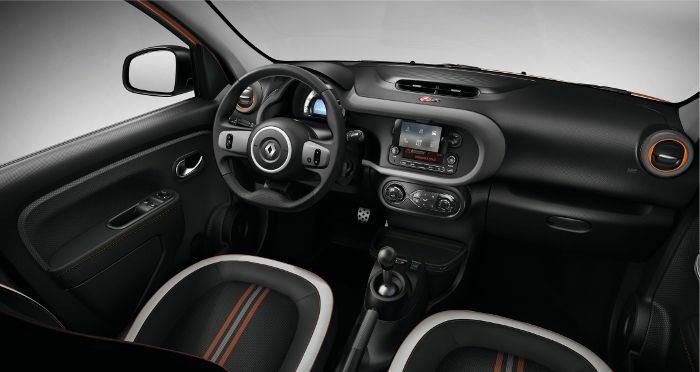 About interior showed pictures based even the glove compartment is conventional, after the tested model the Twingo GT was received silver insert and the orange insert and sawing. The sport version new sport flat bottom driving wheel take, in the multifunctional version, as well as metal pedal pads, leather shift knob and a more serious multimedia system. For more details, however you still have to wait, but with this with the GT already drifting can be no problem either, thanks to the rear wheel drive.